Bulgarian President Rossen Plevneliev, in Sochi for the final day of the 2014 Olympic Games, said that he did not see his visit as political but was to pay his respects to Bulgarian athletes who had earned the right to compete among the best in the world. Earlier, the anti-government Protest Network called on Plevneliev to withdraw from his planned attendance of the Sochi Olympics closing ceremony in protest against the violence in Ukraine. Plevneliev, who some weeks before the bloodshed in Kyiv in recent days said that he was postponing a planned visit to Ukraine, went ahead with his trip to Sochi. 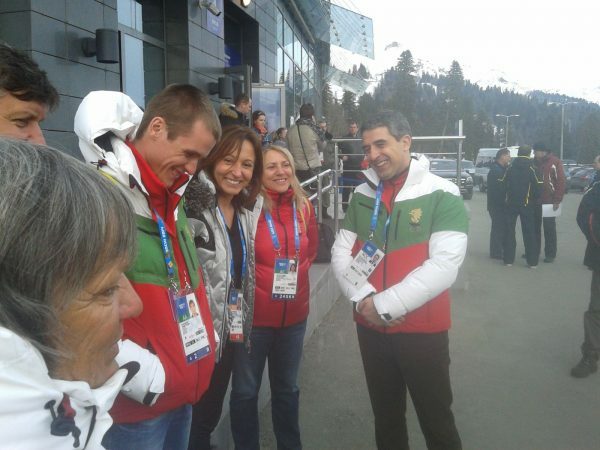 After arriving in Sochi on February 22, Plevneliev spent an hour in conversation with Bulgarian coaches and athletes about the future of winter sports in Bulgaria, according to a media statement by the Bulgarian Olympic Committee (BOC). Underlining that his visit was at the invitation of the BOC, Plevneliev said that sport was strategically important for each nation and it was essential to identify the problems precisely so that they could be solved. Sports brings a sense of responsibility and duty and athletes were role models for young people, he said. “In the Olympics, the battle is for milliseconds, even a nano second, the competition is immense and it is important to know your problems and your worries, how I as head of state could help,” Plevneliev said. Viktor Zhekov, coach and father of Alexandra Zhekova – the snowboarder who had been seen as Bulgaria’s best medal hope before running fifth in the women’s snowboard cross final on February 16 – said that his greatest concern was the lack of prospects for young athletes who, after their childhoods, saw no reason to continue to be professionally involved in sport. The state, ski resorts and communities should get involved in encouraging the young to continue careers in sport, he said. Biathlon coach Georgi Fortunov said that sports facilities in the country were “miserable” and expressed hope that matters would improve in the near future, the BOC statement said. Bulgaria sent 18 athletes to the Sochi Olympics. None won a medal.